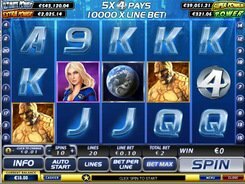 Four fearless superheroes in Fantastic Four video slot challenge all gamers to a fantastic fight for an ultimate fixed jackpot of 100,000 coins. 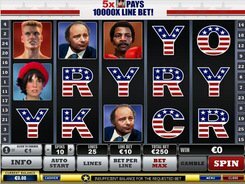 The battle field consists of 20 paylines and five reels. 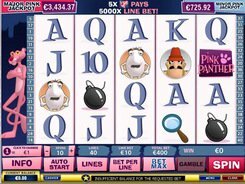 You can select any coin value up to $2 and bet 10 coin max on a line. This means that the top bet amounts to $400. 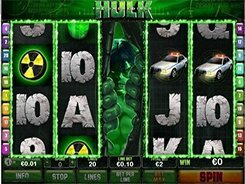 This slot machine based on Marvel comics is packed with features making it a real entertainment for sophisticated gamers. 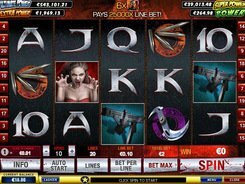 The bonus icons include the 4 Wild symbol that stands for any other symbol and brings 40 to 10,000 coins if at least two of them appear on your active payline. The planet Earth is the scatter. Three and more scatters trigger 12 free games with four incredible options: Mr. Fantastic, Invisible Woman, Human Torch and The Thing. 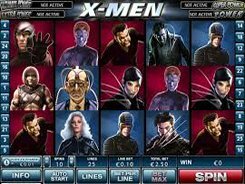 Every option is sure to enrich your free spin experience with expanding wilds, multipliers and other powerful features when the corresponding superhero covers the entire reel 3. 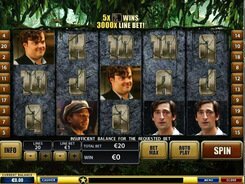 In addition, 3–5 Earth symbols pay you x5–x200 times the bet. So, the total winnings will be really fantastic! PLAY FOR REAL MONEY!